If you thought only Indians prayed to Ganesha, think again. 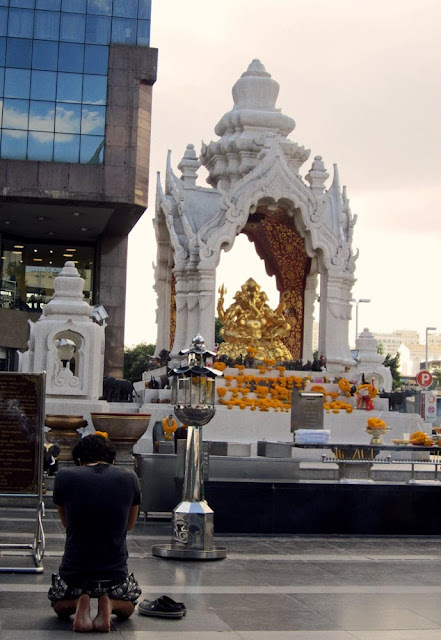 Here is a local person in Bangkok kneeling down before a golden statue of Ganesh (also known as Ganpati) in the city of Bangkok in Thailand. 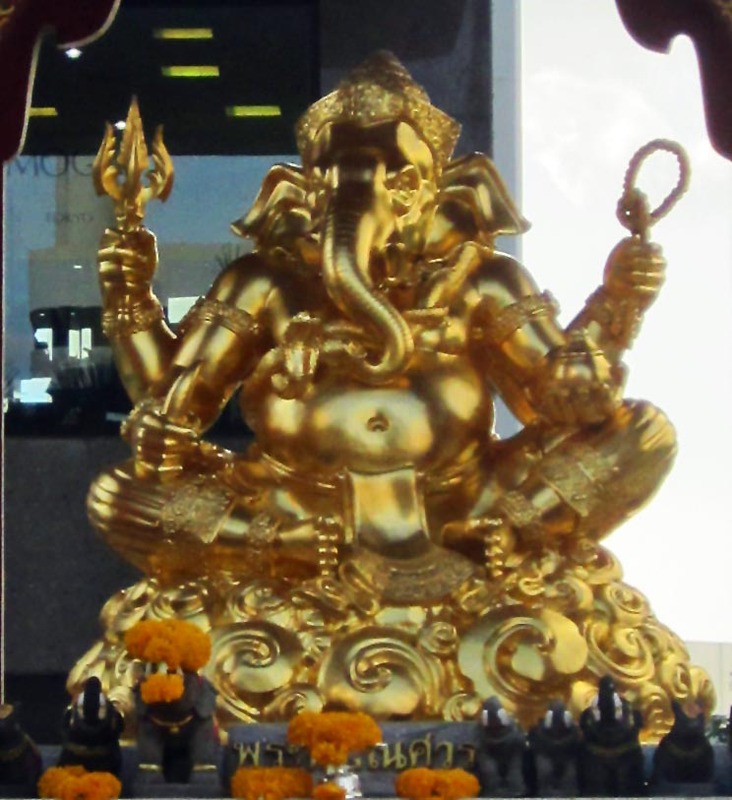 Ganesha is a Hindu deity, and his images are found across India, Nepal and some in Thailand. Jains and Buddhists also worship Ganesha.